Most likely, your dog’s breath probably stinks because of plaque and tartar build-up which is easily fixed by brushing their teeth regularly. Don’t use human toothpaste or a toothbrush though! Use specially-made doggie dental products. There are a number of special products for brushing your dog’s teeth and the American Kennel Society (AKC) has compiled a list of toothpaste brands that’ll do the job. There’s even a Tropiclean plaque remover gel that requires no toothbrush! 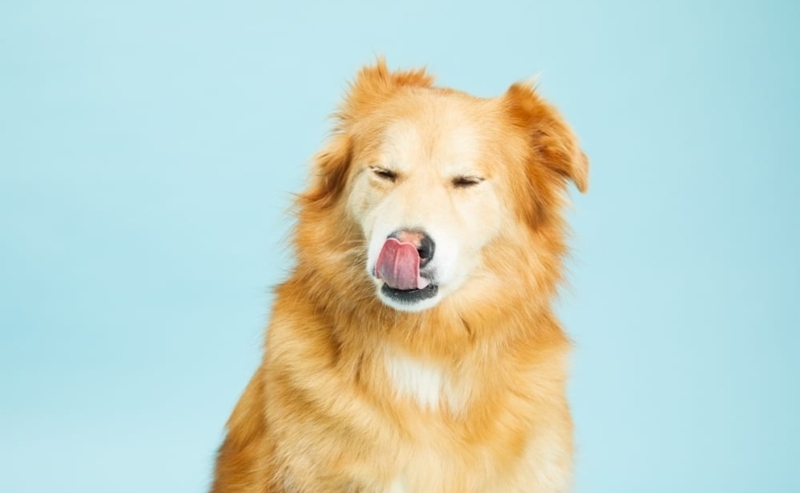 In addition to brushing your dog’s teeth, you can give them dental treats that are made to remove plaque and tartar buildup and also have ingredients in them that’ll help to freshen your dog’s breath. BARK’s Oral Health supplements include unique ingredients, such as Champignon Mushroom extract (which has the ability to suppress odor causing toxins in the intestines), cinnamon (which supports a healthy bacterial balance in the mouth), and spirulina (for its beneficial deodorizing effect). Then there’s the Dozers Dental Chew, which is chicken-flavored with a unique shape that gets in between your dog’s teeth as they chew. And of course there’s the readily available Greenies Dental Treats, which everyone loves. Like dental chews, regular chews help to remove plaque and tartar buildup while also preventing more buildup to occur. 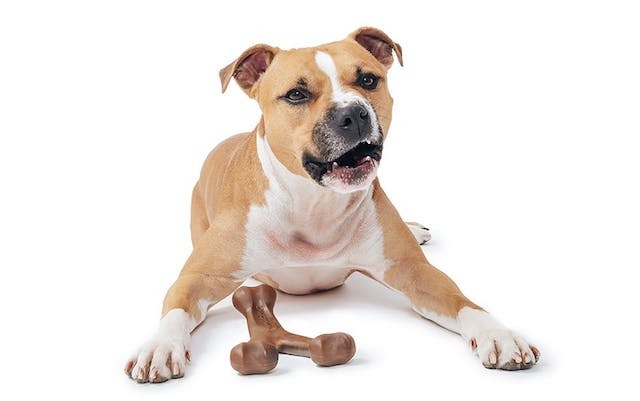 Just the act of chewing is healthy for your dog because the gnawing scrapes the plaque off the teeth and a lot of meaty chews contain enzymes that help to promote dental health. Check out a list of chews that we offer to help your dog on the road to dental health.